As news of UFO spotting from London spreads, scientists and other people from across the world speak out about aliens and our encounters with them. Most notable amongst these comments, perhaps, comes from Russia. Russian scientists predict that humanity will meet aliens (really really meet them) within the next 20 years. Andrei Finkelstein, director of the Russian Academy of Sciences' Applied Astronomy Institute says, "The genesis of life is as inevitable as the formation of atoms... Life exists on other planets and we will find it within 20 years." He further adds that 10% of planets that circle their suns resemble our earth. This obviously means that at least 10% of the heavenly bodies in the Milky Way galaxy probably have water, and life. When quizzed about how aliens might look, Andrei says that they could not be much different from us humans. One head, two arms, two legs...maybe a different color of skin. Makes you think of "Jaadu", right? 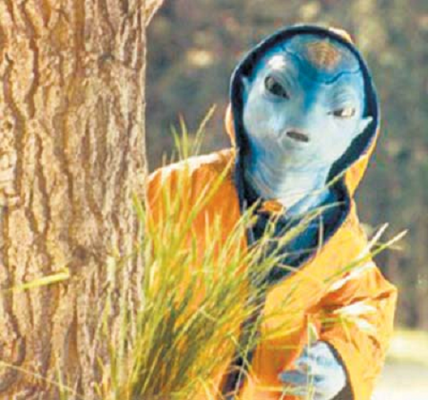 For all you know, Jaadu might be gearing up to meet you anytime now! Richest Man in the World: Gates, Bezos or Putin??? Olympic Torch Set To Go Into Space! What Mysterious Animal is this? Akshay to Play an Alien!!! Is This A Part of a Real UFO? The Cat That Says "No No No"